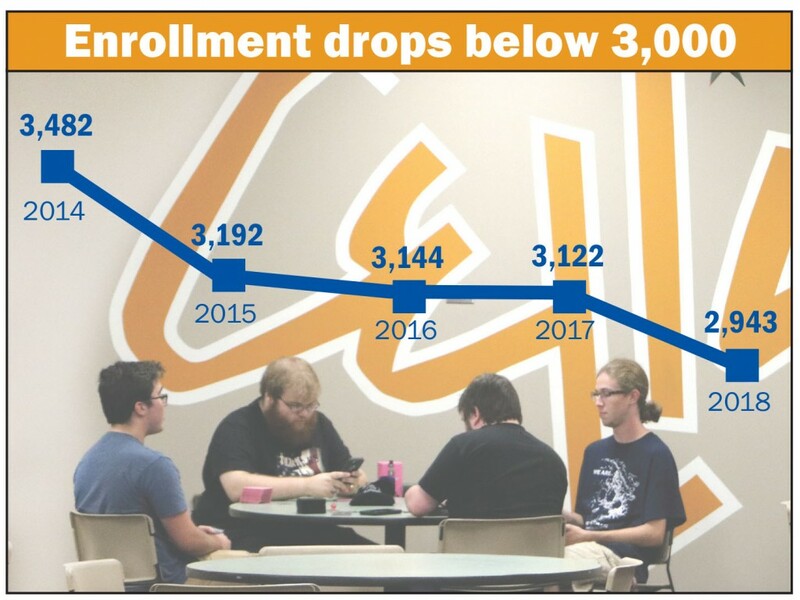 The downward trend continues as MCCC’s Fall enrollment dropped below 3,000 for the first time in 30 years. Enrollment for the Fall 2018 semester is down 5.7 percent, after several years of smaller decreases. This leaves the enrollment count at 2,943 students, compared to last year’s 3,122. According to annual Student Profile Data reports published by the college, the last time enrollment was below 3,000 was in the fall of 1988. “We’re bleeding, and we need to find a way to stop the bleeding,” said Kojo Quartey, President of MCCC. The bleeding isn’t just here at MCCC. Community colleges across the state have been recording declines. Nearby community colleges such as Schoolcraft, Macomb, and Henry Ford have seen similar slips in enrollment. Oakland Community College witnessed a double-digit decrease compared to last year. Jackson and Washtenaw enrollment remained nearly the same. Sue Wetzel, Vice President of Administration, accredited the decrease in enrollment to a strong economy. “They can’t hire enough people right now; everywhere I go people are trying to hire,” Wetzel said. Companies are now offering more opportunities for on-the-job training to high school students to help fill the demand for new workers as the baby boomer generation retires. She noted that if you follow a graph of enrollment, it suffers when the economy is doing well, but picks up when the economy dips. However, Wetzel’s faith in higher education has not been lost. “The minute you invest in that and put the time in to do well in those courses, the value appreciates in time,” Wetzel said. The college has worked around the clock to find ways to help bring enrollment back up, Quartey said. For example, the college reaches out to high schools with a variety of visits and invites eighth graders to tour the campus. The campus also has a Head Start program through the ISD for kids 3 and above to assist students that have small children. This can help reach more adults looking to come back to school to start or finish a degree. Quartey also has a positive outlook on the future, basing some of his optimism on the 2016 millage that was approved by voters. “With the millage money and our new facilities, I think we will attract more students to come here,” Quartey said. “I am optimistic that we will turn this around. The school will never close; we will always be here. We have been here for 54 years, and we will continue to serve our community.